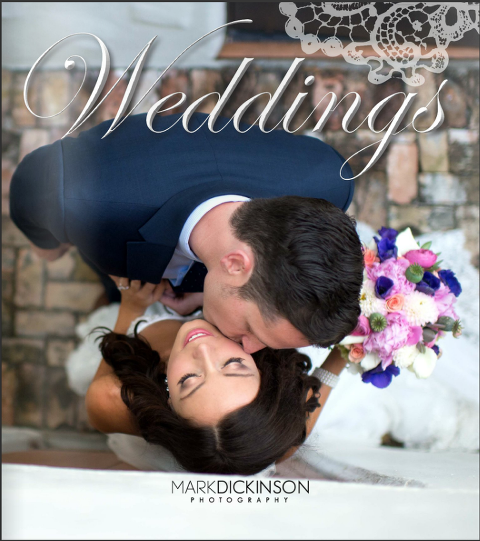 Mark Dickinson Pricing: Congratulations and thank you for your interest in our photography! You’re engaged and I want to be your photographer! We are available for international destination wedding travel! We specialize in weddings, engagements, as well as family sessions, & senior portraits. We have a team of five talented photographers and editors. PLEASE CLICK HERE TO EMAIL ME FOR THE PRICE LIST! Below is some additional information about our services. NEW: See our most recent reviews on our website now! We book a limited amount of weddings throughout the year. Our weekday packages begin at $2,100.00 for weddings and with our preferred pricing offered Monday-Thursday (this means we give you an amazing gift back.) Sometimes this equals up to 30% off the all inclusive packages! We NEVER double book any event and you ALWAYS know who your photographer is going to be. Please use the CONTACT PAGE ABOVE IN THE MENU to fill out the required information so we may give you an accurate personalized quote for your event, wedding, or portrait session. 1. Quality – do you love the photos? If not, move on! 3. Reviews – We are the ONLY photography business with over 120+ positive reviews in the state of Florida. We strive in positive reviews from the families we work with. Google “Mark Dickinson Photography” and you will see exactly what we mean. Or CLICK HERE. Most importantly: ALWAYS hire a licensed business or person, and ALWAYS have a signed contract! We use full frame cameras and prime series lenses. What does that mean? They are the highest quality in camera equipment for professionals you can find. They are not “retail store” bought cameras, they are professional series cameras for the best quality. I’d personally would like to meet, or talk to you so that we can go over the details and your ideas for your wedding. Always become familiar with your photographer so you know that your day/event will be the best experience, if you are not comfortable, the photos will reflect that! **All prices quoted or given are subject to change without any notification. What’s the value of a photographer? Here’s some food for thought. You might think you are paying a TON for photos, but in comparison to life’s expenses we try to offer a very fair value for what we provide to you. Just our cameras and lenses alone with our set up is close to $20,000.00! That’s just the camera and lens that we carry on us. Why? because you deserve the best, and we can’t get our amazing star shots, night shots and other complex photos that need powerful image sensors without making you stand for 20-30 seconds. Invaluable. Our team goes through each and every photo culling them down so you have the best of the best. The whole process from walking in the door after your wedding from the upload of the gallery takes about 45-50 hours to complete. Our albums take about 10 hours to complete. So in all we dedicate 60+ hours to your day. Come check out our FACEBOOK. We hope that the Mark Dickinson Pricing page helped you out. I’m friends with Heather and Kevin Theriault and was at their wedding in 2010. I am getting married in Tampa 7/21/12 and was wondering if you were available and what a estimate would be for your services if you are available. Hello! My name is Julie Cramer. I am from East Tennessee, and will be down in Daytona Beach June 16th through the 21st for a family vacation. My husband Scott and I just got married last year on June 18th and are getting to spend our one year anniversary at the beach  Anyways, we were wanting to try and get some pictures taken of us together on the beach down there one of the days we are there (it would have to be June 17th – 20th) as an anniversary present to each other. Would you be available any of those days at around sunset time (not really sure what time this is at)? If so, what are your prices for a one hour shoot with a high resolution CD of all the images? This would be a lot like an engagement session, just without all of the ring pictures and stuff since we already have those. Thanks for your time! I look forward to hearing from you… I love your photos! Inquiring about pricing for a wedding at Lake Mary Event center full day. Please head over to contact me. It may be too late. We don’t get to monitor all messages in comments, Unfortunately, I see about 500 site wide daily.